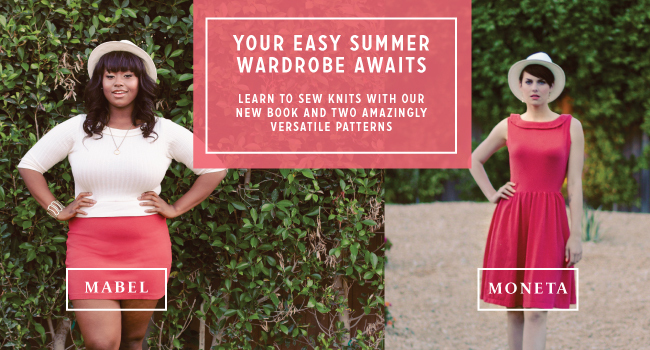 Welcome to the world of knits: Introducing Moneta, Mabel, and The Colette Guide to Sewing Knits! As I’ve gone through my Wardrobe Architect journey over the last few months, I’ve realized how important comfort is to me. Sure, it seems obvious that our clothes should be comfortable. But when I really looked at what pieces of clothing I wore again and again, at least half of them turned out to be made from knits. Knits are fast. With so little fitting and almost no pressing, a knit garment can usually be finished in a matter of hours. Knits are easy. Once you get the hang of handling them, it’s incredibly easy to sew with knits. Knits get worn. So far, I must say that the knit garments I’ve made have been some of the most-worn projects I’ve made… in over 16 years of sewing. Now, there is a little bit of a learning curve if (like me) you’ve always preferred sewing with wovens. You need to learn a few techniques and pitfalls to wach out for, especially if you want to sew without a serger. I’ve already told you a great deal about The Colette Guide to Sewing Knits in the last few weeks, so I’ll get back to that at the end of the post. First, I want to unveil our two new patterns designed for knits by Alyson Clair. 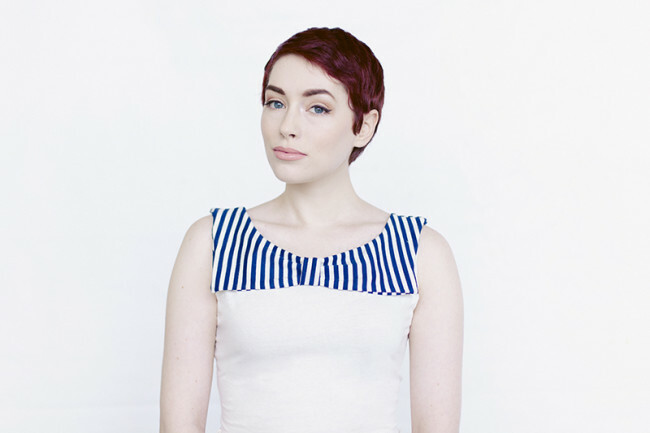 First up is Moneta, a perfect elegant little knit dress that can be made over 20 different ways when you download our free collar variations! In just a few hours, you can create a fitted dress with a full skirt that you won’t want to take off all summer. For those in the southern hemisphere, Moneta also has sleeve options for cooler weather, and is great for layering with tights and sweaters. It’s a true year-round pattern. 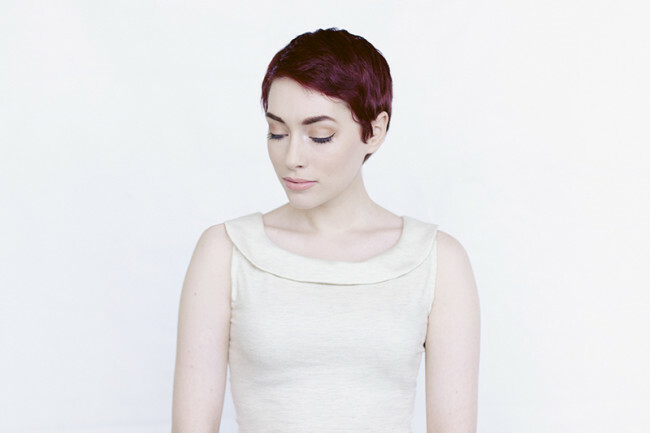 Out of the package, Moneta can be made with a simple rounded collar that laps in back, or a collarless style. You have a choice between sleeveless, short sleeve, or 3/4-sleeve versions. 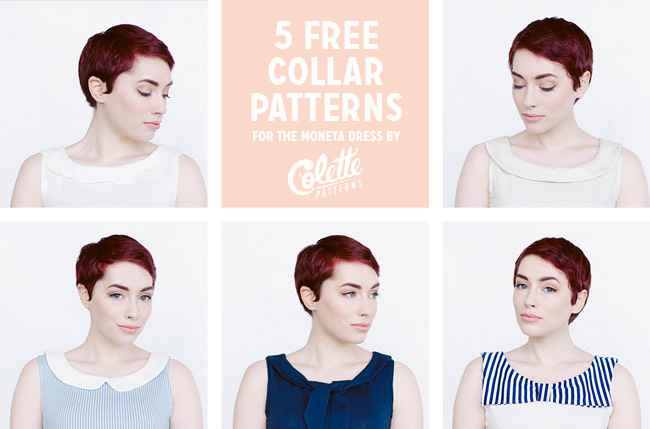 Plus, download our five free bonus collar variations, and that adds up to 21 different ways you can make Moneta! 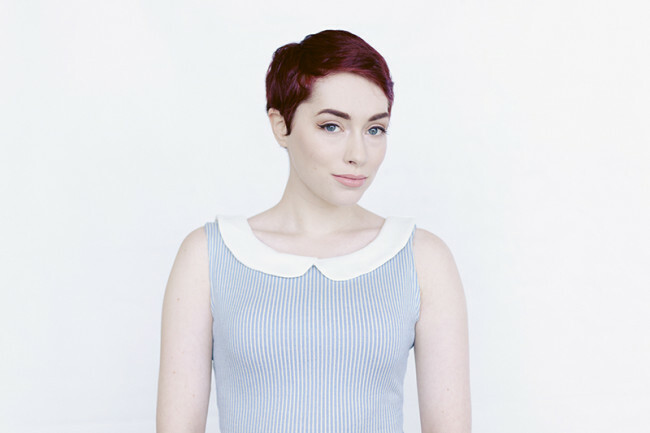 You can download the Moneta Extras and get instructions and PDF patterns for a scalloped collar, round collar, peter pan collar, tie collar, or bow collar. Moneta is sized from XS up to 3X, representing an even wider range of sizes than our previous patterns. Pick up Moneta with 15% off through Friday! Mabel – a dead-simple skirt you can make in an hour! I think we all need those pieces in our sewing arsenal that can be whipped up in no time. I love sewing those kinds of projects in between the more complicated ones for a little instant gratification. It’s even better if it’s a basic that you can wear the heck out of. Up until now, Laurel has been number one in this category for me. But I’m afraid Mabel might be taking the lead. I kid you not, I have been wearing a version of this skirt at least once a week for the last six months. So simple in construction, Mabel can go from cutting to completion in as little as an hour! With a gently curved hip and countoured waistband, this pull-on skirt comes in three styles. Version 1 is a mid-thigh length mini that works beautifully in both solids and prints (I can’t wait to show you my striped version!). Version 2 features a faux button placket down the front for a little fun button detail. Version 3 is a classic pencil skirt with front paneled seaming and a kickpleat at the back. Because Mabel is designed to be sewn with stable knits (I like pique or double knit best), it’s easy to sew even if you aren’t used to working with knits. 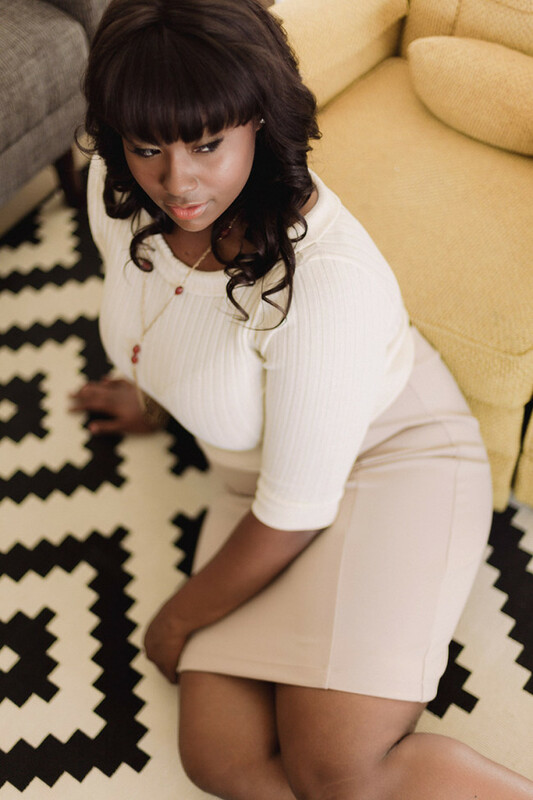 These fabrics are some of my absolute favorites to work with because they have the stability of wovens, the comfort of knits, and a flattering smooth look that doesn’t show every lump and bump. Mabel looks fantastic on so many women. Here, you can see it on a size M and a size 2X. Like Moneta, Mabel is sized up to 3X. By the way, if you like the cropped sweater Briana wears with the skirt in the photos above, we actually adapted it from the Moneta pattern! I’ll be showing you how in a future tutorial. Pick up Mabel with 15% off through Friday! 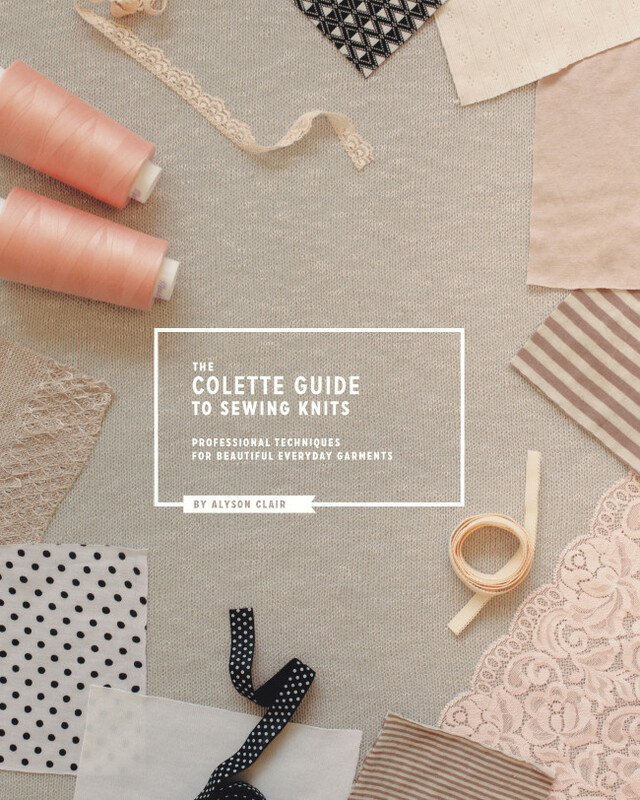 The Colette Guide to Sewing Knits is now available! 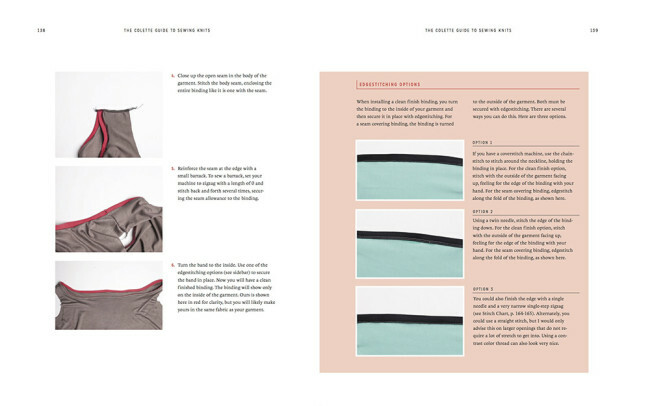 I’ve shared a lot from The Colette Guide to Sewing Knits with you already, and today is the day you can finally order! How to seam and finish knit garments, no matter what kind of equipment you have. How sergers and coverstitch machines work, so if you have one, you can use it in a professional way. And if you don’t, you’ll learn what’s worth investing in as you grow. Industry techniques from someone who has spent years on the factory floor (and how to adapt them for home use). How to shop for knit fabric and what to look for. Basic fitting and quick-fit techniques that work well for knit patterns. 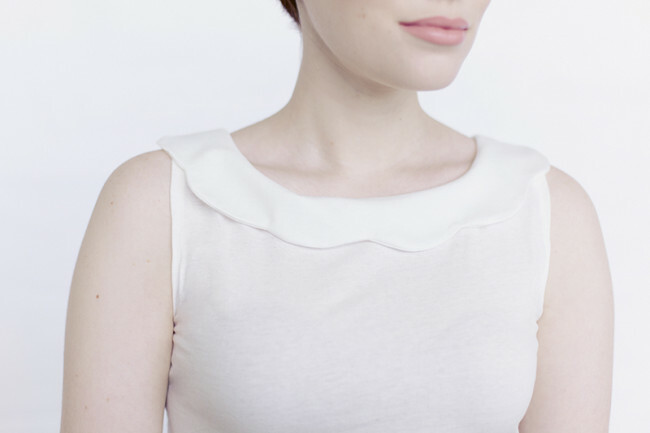 A variety of methods for finishing edges, like necklines, armholes, and hems. You’ll learn techniques you can swap out on almost any knit pattern! Fun embellishments that work particularly well with knits, such as using stretch lace, decorative elastic, and more. Note: We’re working to get this in stock on Amazon’s non-US sites. You can also buy from us, or from a retailer. Check the comments section below for a few options! Now through Friday, you can pick up either of our two new patterns in the shop for 15% off. Or, buy a bundle of both patterns along with the book and get $10 off – whether you buy all three print versions for $56, or digital versions for just $36! Plus, domestic shipping is free. You know we always like to plan some fun stuff for new patterns. We’re planning sewalongs soon for both patterns, including an ultra-fast express weekend sewalong for the Mabel skirt. Pick up your copy now to get ready! We’ll also be having a really fun mini-wardrobe contest, giving you a chance to sew a small travel wardrobe using our new patterns. Stay tuned for more details on that too. 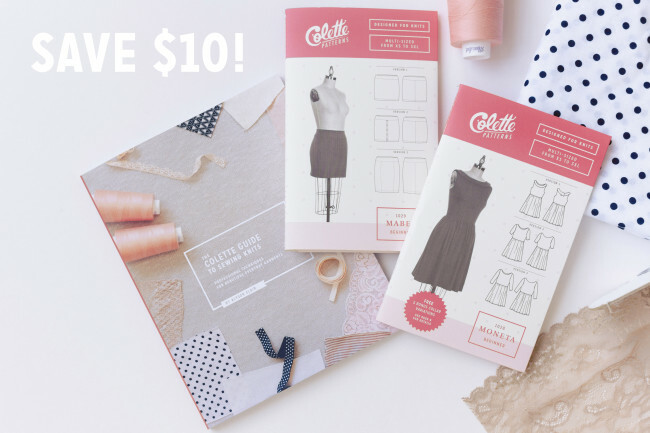 Get the book and 2 new patterns for $10 off today! I am in love with the Moneta and the Mabel. These are both so my style. I am getting married this summer and having an open house reception, so I am thinking that the Moneta will be the perfect dress for the reception. Very clean, classic, retro with some cool funky, feminine touches. Thank you Colette, these patterns are awesome. Also, picked up Clair Alyson’s knit book as well. I just wore one of Clair’s dresses to my BFF birthday brunch and I looked fab!! You ladies rock. So awesome! What lovely models and photos as usual and I love the versatility of this pattern. Love the patterns, and I love that you’ve used a plus size model! Just ordered the book and both patterns – are they here yet?? Love them both so much…. So fun. Can’t wait to get my pre-order! I agree, it is so great to see a variety of models and sizes. It really shows how versatile the pattern and garments really are. 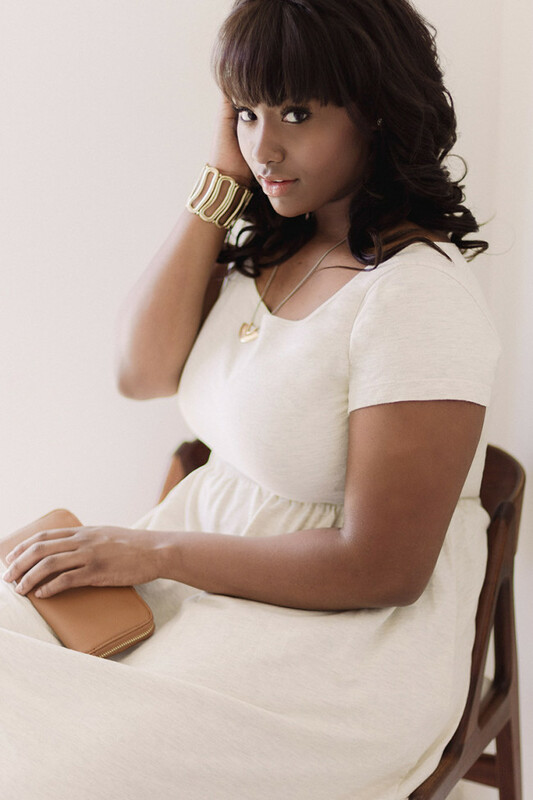 The plus-sized model is gorgeous. Both of the models are. That was my reaction too! Both of the models are so lovely, but it’s much more rare to see diversity in models–in size, in race–that I was just so blown away by the plus sized model. She’s even lovelier because we need more just like her. Colette always does such a good job with their model casting. I agree! It’s really nice to see the garments modeled by both size ranges. 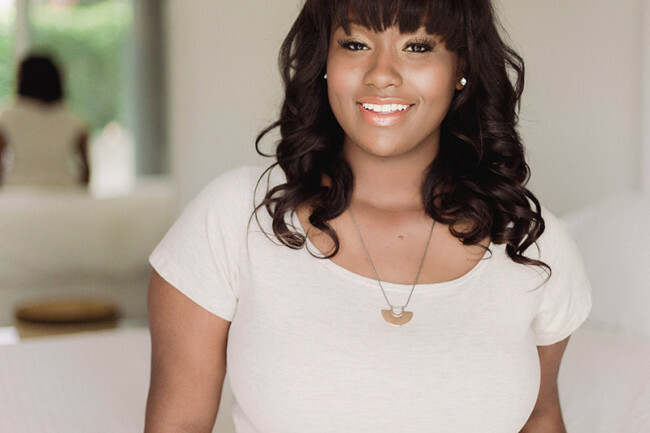 Love the plus size model! Thanks, she is incredibly beautiful. Finding plus models can be really difficult because many of them are not actually plus! Excited to get my hands on these patterns! Exactly! And both she and the clothes look great. I’m so excited about this! Got my patterns yesterday and can’t wait to whip up a bunch of Monas for the spring and summer. I pre-ordered the bundle and received by book and patterns on Saturday. I’m the same pattern size as your plus size model and have already made up the pencil skirt version of the Mabel, which I’m currently wearing. I can confirm that it fits me the same as it does the model, in case others are wondering about model fit vs. real life fit. I’m looking forward to making up the Moneta, as well! What kind of knit do you recommend for the Moneta? I have some wonderfully soft, very fine, drapey wool jersey that I’ve been saving, hoping that your new knit patterns would suit it. I think that could work well. If it’s very drapey, I’d just make sure it has good recovery and won’t sag, and maybe think about lining the bodice (version 1 of the dress is lined on top, but the sleeved versions are not). Wonderful! Thank you, I was so hoping it would work. I have some nice silk jersey that will do for lining. Regards from an autumnal Buenos Aires. ps: THANK YOU for the PDF version of the book! So in love with all the looks! I can’t wait to order a pattern and try it out! So proud of you guys! I love seeing you succeed! I felt the need to complement you on your patterns but also your choice of models. It is so wonderful to see you incorporating plus size women. The gorgeous lady you have modeling the “Mabel” pattern is phenomenal. I am not a plus sized person, but it is such a breath of fresh air to see a pattern company advertise real sizes rather then the illusion of fashion of the double zero size. I also have your sewing book, I bought it for the patterns inside, and in there too you had larger sizes and models. I sincerely appreciate this and I feel many women feel the same way too. What a gorgeous model! It’s refreshing to see a variety of model sizes and shapes – and as a size 14, a lot easier to see how the Moneta would look like on me than modeled on a size 2. Can’t wait to make it! Such a lovely everyday dress. 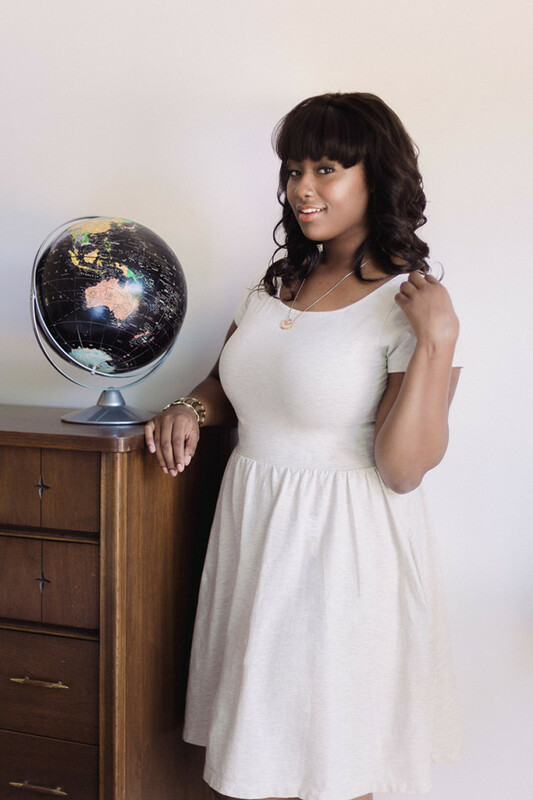 I love moneta and I love that you have used a beautiful plus sized model of colour; it is just so refreshing to see. I am so truly, madly, and deeply in love with Moneta. I would LOVE to have the printed pattern but I want to start it today, so…downloaded! It is the perfect knit dress and there are a lot of them around right now. Thank you, darling Colette! Thank you, too, for the gorgeous models. They are drop dead beautiful but in the way that real girls are. Nice job all around! Book on wish list, pattern in printing queue, husband working late tonight: yeehah! So lovely! I got my preorder this weekend and I can’t wait to make them up, especially the Mabel skirt! I love your photos also — it’s so nice to see the patterns on a variety of body types. Great work! I have always been skeptical of knits and considered myself a die-hard woven gal. But I LOVE the Moneta dress. Your description is perfect – it truly seems like a go-to, all-season, dress up-or-down dress. The instructions aren’t specific to one technique or kind of equipment, necessarily. There’s a little “sewing with knits” section at the front that gives you a few options for seams and hems. I’ve always been a wovens gal too, but that’s slowly changed over time. I just can’t resist the comfort! Deeply excited by this, but I prefer to buy the physical versions. Any idea when the pattern and book will be available in the UK? We started shipping out patterns a couple weeks ago, so it should be available any time! Brilliant! Can’t wait to get my hands on them- thanks for the swift reply! I may be unusual, but I actually find wovens to be more comfortable (not a fan of the “hugging”) however, I have been searching for a knit dress for winter to wear over leggings, and just couldn’t find a pattern that fit my aesthetic. The Moneta is it! It is everything I was looking for in a knit dress, and I am so excited to sew a couple up! Thanks! Amazing job again!! The knit patterns look great! I received a serger for my birthday last year and figured out how to use it but didn’t know where to begin with sewing an outfit… these patterns will get me going! I love e Moneta! A blogger released a similar style pdf pattern a couple of months ago, but I like this one much better! And it’s a printed pattern! Beautiful! I’d love to know where you buy the beautiful knit fabrics. My last few attempts at knit projects were failures from the start because of my poor choices. Any suggestions would be much appreciated! 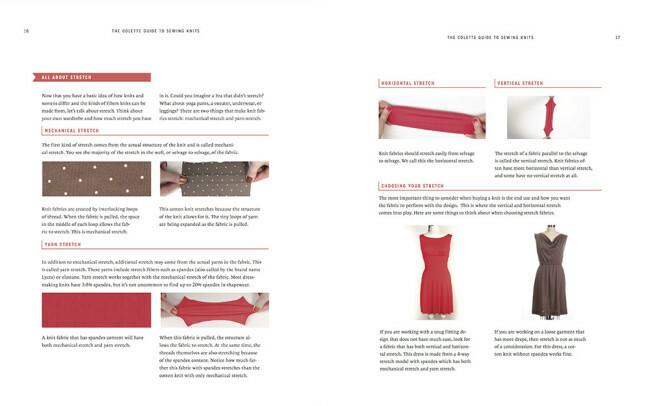 You might take a look at the new book, which has a lot of helpful fabric shopping suggestions! I plan to do a post rounding up some fabric ideas for these soon. I buy most fabric locally, but there are certain types of knits that I find pretty easy to buy online. I love Moneta! The perfect dress and in a knit! Ahhh I can’t wait!! Just got the PDFs of both patterns and the book so I can get started right away!! Can I just say that my first thought on seeing this post was, “Wow, what a beautiful model!” in response to Briana. As a thin, petite, quite pale Caucasian woman, I may have very little in common with her when it comes to body type or flattering colors, but seeing someone who is so obviously comfortable in her clothes and her own skin is just as good an enticement for the patterns as seeing someone who shares my proportions. It’s refreshing to simply see diversity in the choice of models without having it trumpeted about as an achievement, since that’s how it ought to be all the time. Thank you, Colette Patterns, for being awesome. Yes, agreed! She is stunning and looks totally awesome in the clothes. I love your models, the patterns, the book. Ooh lovely photo shoot and lovely patterns! The dress looks gorgeous and so versatile, I love that you’ve made a top out of the same pattern too. I’m thinking the dress with a jumper to go over the top in a thicker fabric for winter – would that work? I have trouble finding jumpers short enough to wear with skirts and dresses so if I could make one the right length that would be fantastic! Can’t wait to get the patterns and the book here in the UK!!! My copy of the book & patterns aren’t scheduled for delivery until tomorrow & it’s killing me to have to wait! I’m so looking forward to the package. I love patterns for wovens, but I really live in knits & I absolutely love these two patterns. I can’t wait, I can’t wait, I can’t wait! So happy to have received my book and patterns. Would the skirt pattern work if adjusted to be a slight a-line? I think that would be very easy to do. Sorry Maike, I meant to answer this yesterday! Alyson and I determined that around 20% stretch or more is a good place to start. Yes, that’s true, but it helps me figure out the kind of knit I need, as they have different names in Europe, so your respond helps! :) I already guessed that we might need a more stable knit for this, so that it doesn’t sag. I’ll definitely have to look out for a pretty knit fabric, it would fit so well into my daily wardrobe! I was unsure about the new patterns… after all, I think I will give them a try! Just a question: the white Mabel with buttons seems not to sit at the natural waist of your model, is it low-waisted-skirt (witch is nice for my body) or? Thanks for those 2 patterns and the book: great work! On most bodies, it sits slightly below the natural waist. It depends a little on body type, though. Because of the stretch, I find that I can pull it up or down a little, depending on what I’m wearing it with. I have this question about the Moneta. Is the waist seam on the natural waistline, or slightly below? I can’t quite tell from the photos. It should sit at the natural waist. I love the Moneta dress! It will be so much fun to play with the different collars. Definitely a winner! I’m interested in the book as well. Looking forward for them to arrive in stores here in Europe. Well done Colette! So pleased there is expansion in the pattern size range, thank you so much for listening to us plus size sewists :) Can’t wait to see these spring up over blog land and to sew my own versions. Hoping the book will give me extra tips for taming my server too! Shut up and take my money! Love both of these, and I really really appreciate the larger sizing options. You’re doin’ it right; keep up the awesome! Oh good grief, I love these so much. My own Wardrobe Architecture (Artchitecting?) points to exactly these things, and I can’t wait to give them a spin. My preorder should be here tomorrow, so time to start dreaming! EOS is pricey, but also keep in mind that the Mabel only takes one yard of fabric. Ooh, thanks! I hadn’t heard of Emma One Sock — lots of great stuff there! Love the patterns, especially the dress! I can see making this in a variety of ways to incorporate into my wardrobe throughout the year! Looks easy to wear but can be dressed up in many ways. By the way, thank you for including a full-figured model! I think she is beautiful and I’m glad you are representing a variety of women in your photos. Just bought Mabel! I have a gorgeous piece of wool double knit that I’ve been hoarding for just such a pencil skirt! This is very encouraging, I can make the skirt straight out according to the measurements! Thanks for the larger size range! I agree with all the other posters, I LOVE seeing the garments modeled in small AND large sizes. I’m some where in the middle, but this gives me a better idea how it will work for my body. I wish more pattern makers did this. I love the Moneta! Wow. I mean, wow! You’ve done it again, Sarai! I love it all! 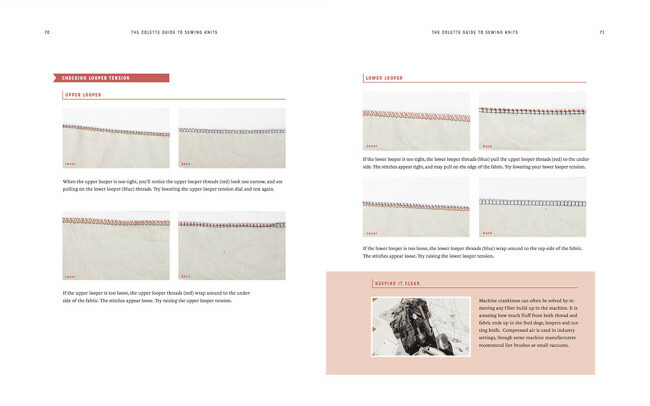 The book was worth every single penny solely for the serger trouble shooting section. FINALLY my problems have answers!! Thanks you so very MUCH! The rest of the book is amazing too. Tons of charts I would like to hang on the wall….needle size to fabric….which fabric to use for each project…..the list goes on! LOVE! I am SO glad you enjoyed the serger troubleshooting portion! I was never able to find information like this when learning how to sew with a serger. Another two great patterns that are going to be TNT’s in my collection for sure!! Same as you, I find I wear knits ALL. THE. TIME., but I don’t sew with them that much. Love all the variations…you’re totally killin’ it lately, Sarai! Love the elbow-length sleeves and plain ballet-neck version of the Moneta–flattering at every age. 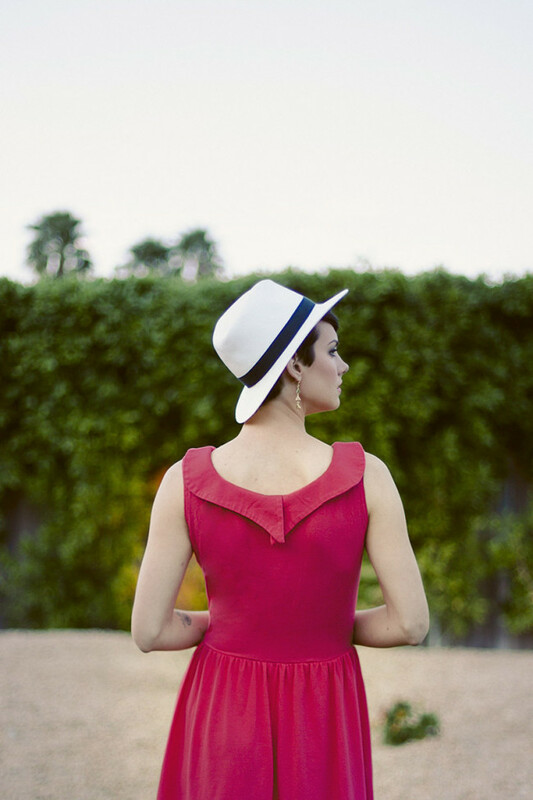 Now I’m thinking about that Moneta top with the Mabel bottom–hmmmm… very Mad Men! I cannot wait to order the Moneta! I am not sure about the Mabel though. I am roughly the same size as the model in the red skirt and I am concerned about it being a little clingy in the belly area. Do you have any fabric suggestions for a looser fit? Or maybe just go up a size in the body? Hi Megan – I just made it out of a structured double knit with a slightly less stretchy panel on the front (the pencil skirt version) and it looks great! I’m a 2Xl, too. 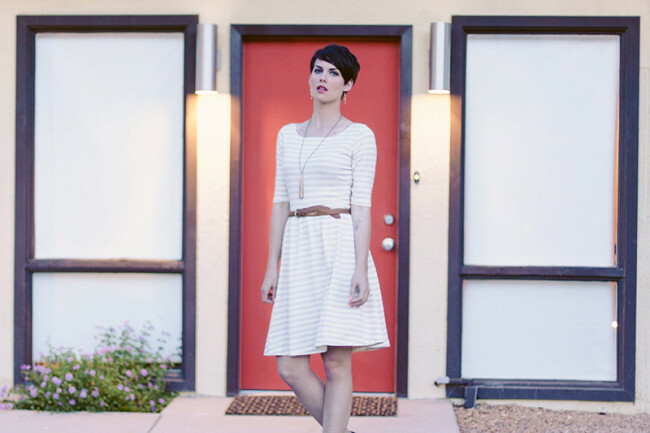 My Moneta is already on my blog, and the Mabel will be going up next week. Thanks for the tips! Your versions look great! I will def order both now, I’m glad to see that the Mabel can be made more to fit more conservatively over curves. That Moneta looks great too! The models are both absolutely gorgeous and I’m in love with the patterns. YAY!! I am super anxiously awaiting my pattern/book arrival. I have been looking for a ‘just right’ knit dress pattern and am so delighted that you guys have released this! It’s 2 things I am pretty sure I will live in all year! And I agree with the previous comments about how nice it is to see some diversity in the models! Sewing is such a fantastic thing and everyone should be able to participate! Thank you for using a full figured model. She has inspired me to order because it looks totally fab and modern on her. Love! I’m looking forward to the sew-along you mentioned in the comments. I might actually sew along in real time for once. Yay for using curvy models! She looks both amazing *and* real. Not only that, she’s someone I can identify with, making it far more likely I’ll take the chance on buying the product. Thank you! Love both of these patterns–especially the paneled version of the Mabel. I’m wondering if the pattern can be easily altered so that it is less fitted over the backside; I’m an older woman and don’t desire to show my shape (or lack of!). I look forward to the tutorial for sewing the Moneta as a top. It looks great on your lovely model. But it would also be easy to make the skirt a little more a-line, reducing the cling underneath the middle and derriere. I am excited and grateful for this book, and the patterns. Since the announcement, I’ve been reflecting on what a large proportion of my sewing knowledge has come from the gentle instruction of Colette patterns and handbook. Like many other commenters, I’ve been a “wovens” gal, with few toe-dips into the world of knits. How welcome to be able to have Colette-style guidance to help me up my knitwear game. Thanks everyone there for your hard work on this! Really delightful to see an email about this pattern release today! 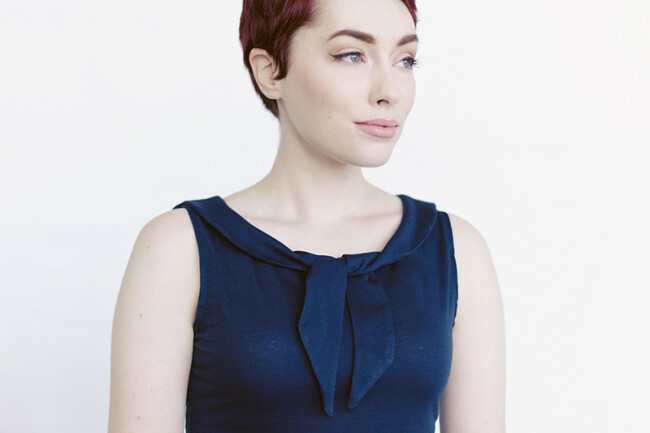 I wasn’t going to pick up Moneta because I have a similar dress, but you have convinced me with the myriad collar options and cropped sweater variation (looking forward to the tutorial!!) Plus the bundle deal and I’ve ended up with both patterns and the book :P Can I say, the overall aesthetics of the patterns/book/photo shoot are insane, you have a great eye!! Ah, what lovely patterns. Totally not do-able for me this summer, as I’m getting a baby bump in the next few months….. But I think I can’t resist and have to order the patterns and the book anyway, as knit dresses and skirts definetly get the most wear in my wardrobe, too. As they are supposed to be rather fast projects, I assume I can make a couple of them once the baby is here. Babies do nap, don’t they?! Plus: congratulations on your choice of models, it is fantastic to see the patterns on different sized women. They both are absolutely gorgeous! And to answer your other question, they are both really fast. Mabel is especially quick. I can put one together in less than an hour (including cutting). If I were assembly lining them, I could make a bunch in an afternoon! Wow, that is fast! You all convinced me, will be ordering tonight! Thanks! The book is excellent! Thank you for the PDF version, for those of us that live overseas (I’m in Australia) and want to use it straight away. Love the Moneta pattern. I second everyone else, the models and photos are gorgeous. Just to follow up on an earlier comment, I would also be interested in a digital bundle of products in the future, if you do a similar release. We do have the digital bundle (both patterns and books as download), just not a mix of print patterns + digital book. Is that something you’d be interested in? PS. I also wanted to say thanks to Sew Squirrel and Stitch56 who offer the printed patterns in Australia and have them available to order now. These are just amazing…I can’t wait to get started! This is supposed to me my Mother’s Day present, but now, I want it immediately. Thank you so much! It’s the first stop of the Curvy Colette: Plus Size Blog Tour, so I’m looking forward to seeing Monetas and Mabels from all the beautiful curvy ladies involved! Just another comment to say thank you for using models with a variety of shapes, sizes and looks; it’s great to see how flattering both patterns are on a curvy figure as well as a slimmer one, and I have to say, I’m far more likely to buy them because of it! Ahhh! I need to concentrate on my work and I can’t get these patterns out of my head. Going to have to order them so that I can concentrate. I love the look of them on both sizes of models – it’s great to see what Mabel looks like on a curvy bottom! Also really love the little film (especially the swan). We spent a lot of time on that swan! book order: handled! And today on fabric.com is a sale on knits!! :) i stocked up. can’t wait to make some wearable items! If you do fix them in the PDF, for thosw of us who purchased the PDF, would you allow us to re-dowlnoad the updated version? Yep, whenever we update any of our digital products (including patterns, books, anything), we always send out an email so anyone who bought it can get the updated version. How exciting – who doesn’t love to wear knits?? I’m definitely sold on the skirt and the book, but I was wondering… how tough you think it would be to make the dress with a slim skirt instead of a full one? Could the skirt and the dress bodice perhaps be combined? I try to wear full skirts but I just feel strange LOL. I’ve actually thought about doing this too! I haven’t tried it yet, but I think it would work. I’ll post about it here if I give it a shot. I was thinking about making the Monet with a quarter circle skirt – to give it some fullness and drape in the skirt, but no bulk or gathers at the waist. I’d really love to get my hands on a copy of this book. My knowledge and experience of sewing with knits is less than brilliant and I’d love to polish it up before trying any more advanced projects. I’m in the UK, so I’m going to have to keep checking back on Amazon. Can’t wait until it’s in stock over here. Hi, is the PDF book printable, or read only? You should be able to print it. I’m so excited by these patterns! They’re both patterns I would wear and plan on making immediately. In fact, I was planning on copying a Banana Republic skirt that I have that looks very much like Mabel. My fabric stash is ready to accommodate me as soon as the patterns arrive. I’ve been looking at the size charts but I can’t find for what height Colette Patterns are designed. At 5 ft 6, will I have to lengthen Mabel substantially and buy extra fabric or not? Such gorgeous patterns, I can’t wait to try them! I’m also wondering about the beautiful necklaces you used, would you mind sharing the sources? Congratulations again on the lovely patterns! The leather tassel necklace is from this Etsy shop. The white cameo is my own vintage piece. The carnelian and chain tassel necklace is one I’ve had for about ten years, I wish I could remember where it came from!